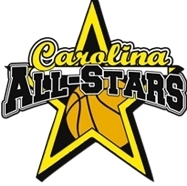 The Link to make your Carolina All-Stars 2016 Season Monthly Payment is now active. 2016 Season Fee $50.00 Monthly Payments. 6th Grade & 7th Grade & 8th Grade (Regional) $450 (11/1/15, 12/1/15, 1/1/16, 2/1/16, 3/1/16, 4/1/16, 5/1/16, 6/1/16, 7/1/16) & 8th Grade (Travel), 9th Grade (2019), 10th Grade (2018-Hill), 11th Grade (Bond) $550 (11/1/15, 12/1/15, 1/1/16, 2/1/16, 3/1/16, 4/1/16, 5/1/16, 6/1/16, 7/1/16 8/1/16, 9/1/16). Welcome to the Carolina All-Stars!! 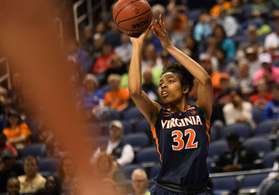 The Carolina All-Stars provide opportunities for girls to improve their basketball skills, develop character and compete against the best athletes in the country. We are fortunate to have dedicated coaches providing excellent instruction to help every girl and boy be the best that she can be at the game of basketball. Our hope is that the experience of the young athletes with the Carolina All-Stars will be positive. Our organization is not just about basketball. Having fun, making new friends, and learning to be good sports are all key elements of our organization. Feel free to contact me if you have any questions. NCAA Division 2/3, NAIA & Junior Colleges will be on hand. Over 160 Carolina All-Stars Alumni players have played at College Level. During 2018-2019 Upcoming College Season, over 50 Alumni players will be playing College Basketball. Over the last 5 years, over 95% of players that played their junior to senior high school travel season received athletic scholarships. There have been 5 alumni from the Class of 2019 that have committed to date. There is NO fee to attend tryouts. For more information, please contact Director Ty Cox at coachcox@carolinallstars.com or (919) 641-7172.